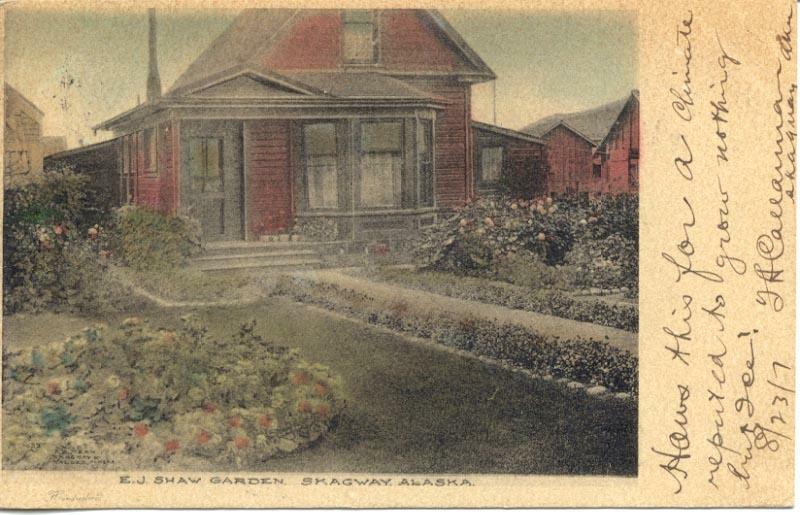 The E. J. Shaw home and garden in Skagway sometime before 1907, when the card was mailed from Skagway. The photo was by P. E. Kern of Skagway and Valdez. The original postcard is in the collection of Murray Lundberg, and this digital image is is © 2013.